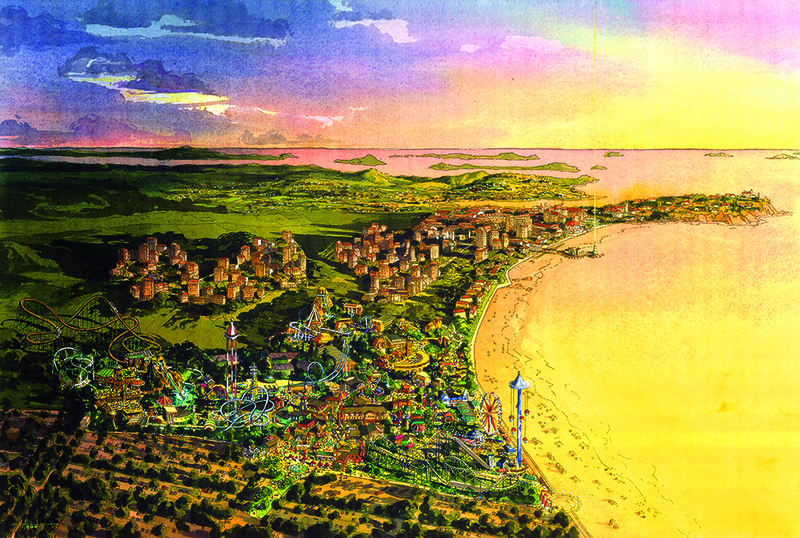 Anmyon Island, Korea – Wyatt Design Group was contracted by Parsons Infrastructure Group, Pasadena as part of a team to master plan and visualize this dramatic resort development, Emerald Point, on the southwest coast of Korea. 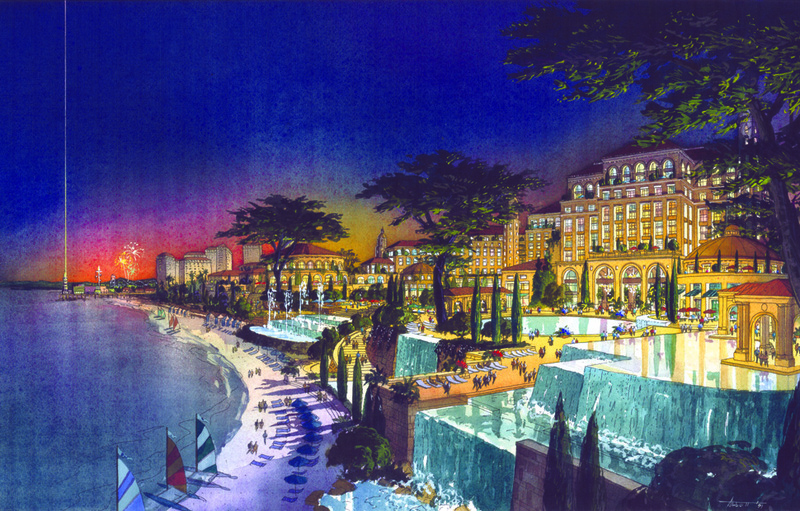 The 1,000 acre Emerald Point Resort is to be a completely planned community of villages, town centers, piazzas, leisure parks, attractions, and hospitality alternatives that offer unique European-styled environments and entertainment activities for all. 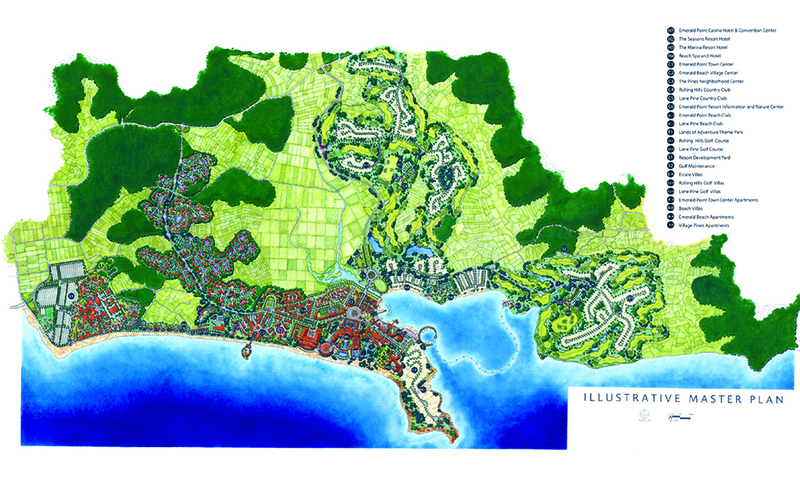 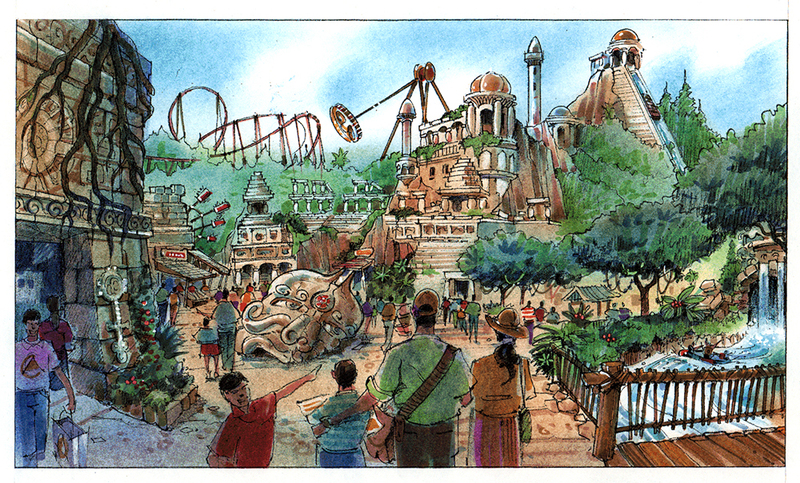 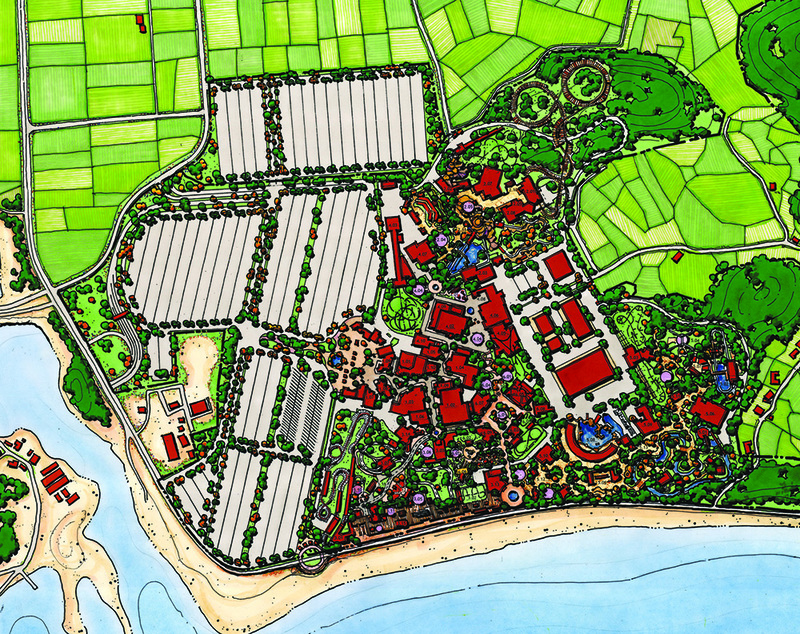 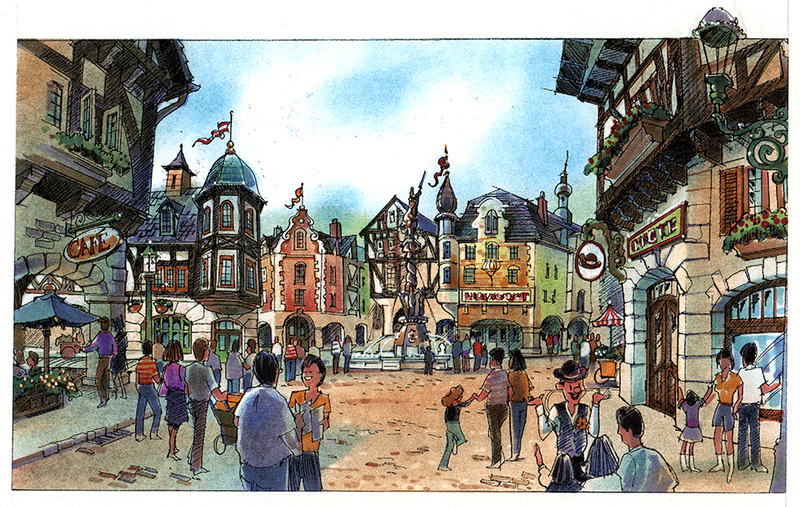 Wyatt Design Group also designed a unique theme park integrated into the development zone named Emerald Beach. 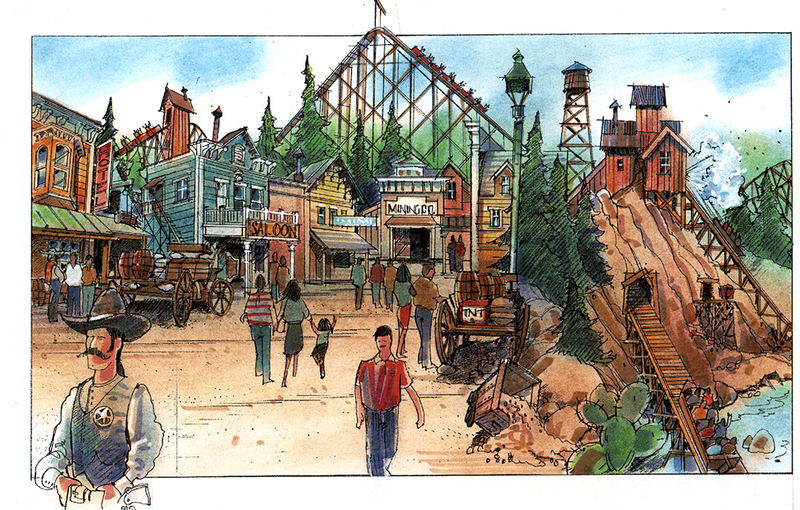 Based on the story line of a nostalgic boardwalk of rides and games whose visionary owner expanded into a full-scale western-style theme park.